*NOW RENTING 2020 SEASON- 3 Month Minimum* Conveniently located close to shopping with easy access to downtown/Central Naples and Marco Island, Naples Green is a community of 2-story condominium buildings set around a sparkling community pool. This 2 bed / 2bath unit is conveniently located on the first floor with no stairs to climb. 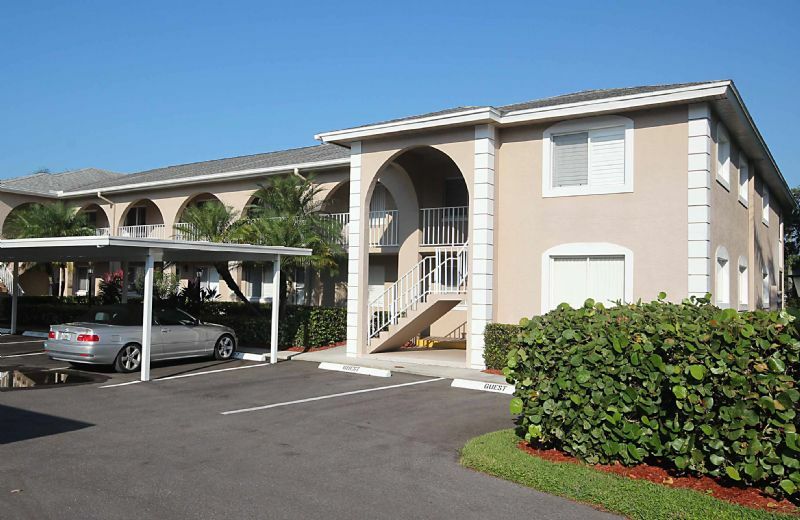 Directly in front is an assigned carport and additional guest parking is nearby. The entire unit has been freshly painted, newly furnished, and both bedrooms feature brand-new carpeting. The sunny master bedroom suite offers a Queen bed and private bath with step-in shower. The guest bedroom has a full size bed. The living room features laminated wood flooring with sliders opening onto a screened lanai with relaxing views overlooking the greens. The pass-thru kitchen is fully equipped with a brand new stainless steel appliance package. Every imaginable sport and outdoor activity is available nearby!